College basketball lacks a true dominant team this season, thus the list of potential national title contenders is long. The race for National Coach of the Year honors is just as a deep. 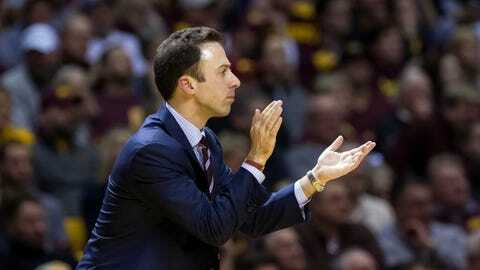 Coaches like Steve Alford and Richard Pitino went from a losing season a year ago, to winning 20-plus games before the end of the regular season. Then there’s guys like Chris Holtmann, Mark Few and Scott Drew, who lost a significant contributors from last year but have found a way to keep their programs among the best in the country. 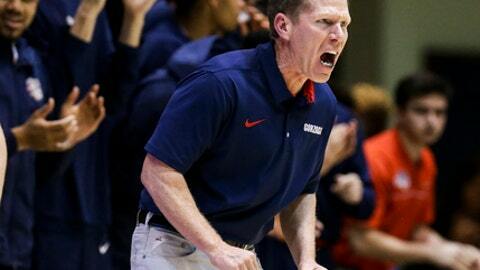 Although there’s still a lot to play out before the end of the regular season, conference tournament and the Big Dance, here’s our look at eight viable options for National Coach of the Year. Nationally, Holtmann hasn’t gotten the attention he’s earned, especially when you consider the production he lost from last season and how Butler is closing out the 2016-2017 season. 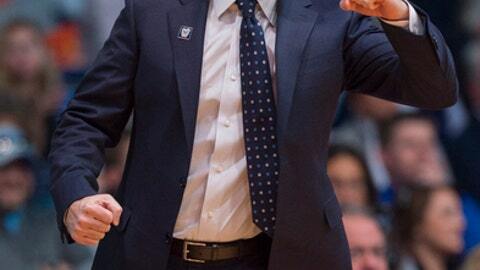 After losing 65 percent of their scoring and 60 percent of their rebounding from last year, Butler has secured the two seed in the Big East tournament and is 23-6 with wins over Arizona, Cincinnati and Villanova twice. Holtmann told FOX Sports his team’s chemistry has played a big part in its successful season, but he also noted the pivotal roles that newcomers Kethan Savage, Avery Woodson and Kamar Baldwin have taken on. Junior forward Kelan Martin has been productive too, scoring in double figures in 26 of 29 games and putting up 16 a contest. What a difference a year makes. Last season UCLA finished 15-17 and missed the NCAA Tournament for the first time in the Alford era. But this season has been very different. 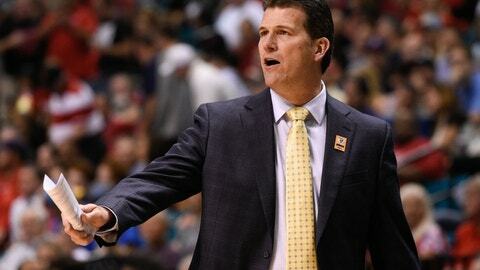 Alford’s touted 2016 recruiting class has given the program a jolt and he’s done a tremendous job blending his gifted freshmen — Lonzo Ball, TJ Leaf and Ike Anigbogu — with the veteran returners, though Leaf did sprain his ankle in Wednesday's win over Washington. UCLA’s offense has been one of the nation’s best and is ranked No. 2 in KenPom’s adjusted efficiency offense, No. 1 in effective field goal percentage and No. 4 in three-point percentage. With wins at Kentucky, at Arizona and over Oregon, the Bruins have a terrific resume and Alford has them in the conversation for a top seed. Much like Holtmann, Few lost a hefty portion of last year’s roster and Gonzaga has put together arguably its best regular season in school history at 29-1. With the graduation of Kyle Wiltjer, Domantas Sabonis and Eric McClellan, the Bulldogs lost 62 percent of their scoring from a Sweet 16 team. 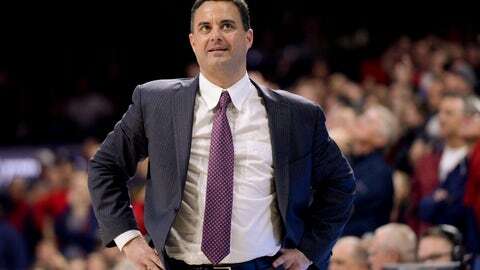 Few and his staff replaced those guys with some of the best transfers in the country. Four of Gonzaga’s top five scorers didn’t play last season, including the WCC Player of the Year — Nigel Williams-Goss. It’s impressive how quickly this group gelled on both ends. They are sixth in KenPom offensive efficiency and have six players shooting 39 percent from three or better. On the other end, they sit at No. 3 in defensive efficiency. Gonzaga’s resume is impressive, as it reeled off 29 straight games before suffering its first loss to close out the regular season against BYU. The Bulldogs own wins over Florida, Arizona, Iowa State and St. Mary’s twice and certainly have the resume of a No. 1 seed. Minnesota’s turnaround this season has been nothing short of impressive. Last year’s team finished 8-23 and had trouble on and off the court. Pitino, who also lost would-be-starter Davonte Fitzgerald to an ACL injury in the fall, quickly cleaned it up, producing one of the best teams in the Big Ten with 22 wins with two games left. The Gophers boast a balanced team with aggressive guards, athletic and imposing post players and a pair of freshmen that have bright futures. Pitino’s personnel fits how he wants to play and his team is primed for an NCAA Tournament appearance for the first time in his tenure. Nate Mason has been one of the best guards in the league, averaging 15.1 points, 5.3 assists and 3.6 rebounds a game, while freshman Amir Coffey has been an immediate contributor and their second best scorer. In the post, Jordan Murphy and Reggie Lynch average a combined 19.2 points, 15 rebounds and 4.5 blocks per game and freshman Eric Curry has certainly had his bright moments. 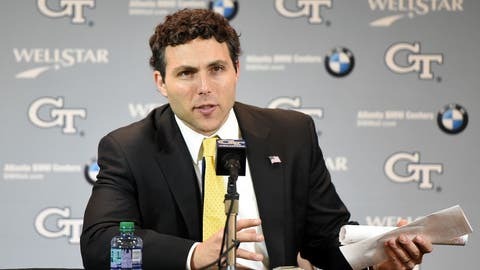 When Pastner bolted from Memphis to Georgia Tech, no one expected the Yellow Jackets to be much of anything in his initial season at the helm. To be blunt, their roster lacks talent from top to bottom. But somehow, some way, Pastner has been able to get it done. With a record of 17-13, Georgia Tech is firmly on the bubble for the NCAA Tournament. The Yellow Jackers have won eight league games in a brutal conference and boast wins over VCU, North Carolina, Florida State, Notre Dame and Syracuse. Arizona and Miller have dealt with plenty of adversity this season. Former five-star wing Ray Smith tore his ACL in the preseason and arguably their best player — Allonzo Trier — missed 19 games due to an NCAA suspension. To top it off, Parker Jackson-Cartwright has missed six games with a nagging ankle injury. Despite all of that, Arizona is ranked among the top 10 teams in the country, is tied for first in the Pac-12 conference and has won 26 of its 30 regular-season games. This is a balanced team that ranks No. 27 in KenPom adjusted efficiency offense and No. 31 in adjusted efficiency defense. It also happens to be one of Miller’s better shooting teams, as they shoot 39.6-percent from three as a team, which is good for top 20 in the country. Trier’s return has been a big boost, as he’s averaging 16.2, 5.0 rebounds and 2.5 assists a game, while shooting 42 percent from three. But the Wildcats also have what could be the best post-scoring tandem in the country with Lauri Markkanen and Dusan Ristic. Heading into the season, Wright was expecting to have national title game MVP Phil Booth and five-star post player Omari Spellman. But an injured Booth played just three games and Spellman was declared ineligible for the season. 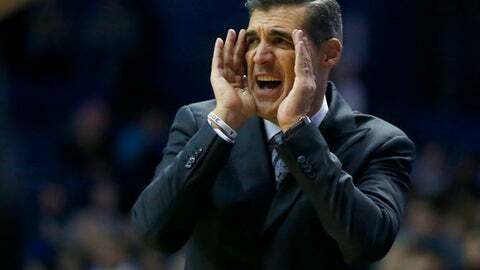 So even with two potential starters out and dealing with the pressure of being the defending champs, Wright has done one of his best coaching jobs to date. The Wildcats are 27-3, have run away with the Big East league title and are on track to secure a No. 1 seed in the NCAA Tournament. Josh Hart has played like you would expect a National Player of the Year candidate to play, averaging 18.6 points, 6.5 rebounds and 3.1 assists a game, while Jalen Brunson, Kris Jenkins and Mikal Bridges have been steady, efficient and effective. 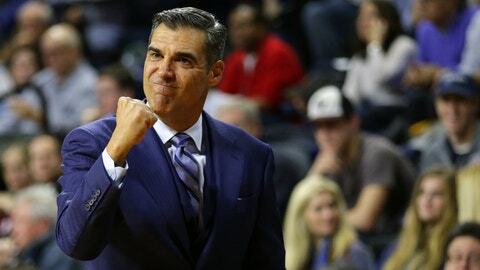 This Villanova team is incredibly consistent and disciplined on both ends of the floor. 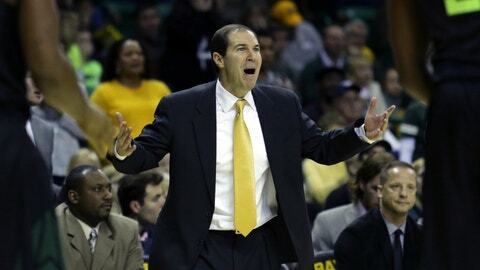 Baylor proved preseason polls to be fairly meaningless. Drew’s team entered the season ranked outside the national top 25 only to reel off non-conference victories over Oregon, VCU, Michigan State, Louisville and Xavier. By Jan. 9, Baylor had slid to No. 1 in the AP Poll for the first time in school history. So how has Drew done it? Well, defensively the Bears have been very good, ranking No. 8 in adjusted efficiency. And even with the loss of their best two rebounders from last season — Rico Gathers and Taurean Prince — they’ve been terrific on the backboard and are No. 3 in the nation in offensive rebounding percentage. Johnathan Motley has stepped up, as has Jo Lual-Acuil Jr. Combined the two average 26.8 points, 16.6 rebounds and 3.8 blocks a game. Miami transfer Manu Lecomte has been impressive running the show too, averaging four assists a game and shooting better than 41 percent from three. The Bears didn’t win the Big 12, but they are 24-6 and are primed for a good seed in the NCAA Tournament. Drew should be commended for not only his on-court coaching, but also his development, as he’s doing it with under-the-radar recruits.